The shirt is designed to keep you cool and dry when playing due to the Xylitol, It also has UV reduction, the clothing intercepts infrared radiation and approximately 92% of ultraviolet helping to minimise heat build up during play. The shirt also has power sleeve allowing the arm to move at 165 degree angle rather than the standard 120 degrees minimising restriction and allowing free movement. The mesh in the back of the shirt provides high ventilation pushing out the body heat, meanwhile the fresh air is taken in through mesh equipped on the side of the shirt from the bootm of the armpits, keeping you cool under sever heat. Material; Front - 90% Polyester, 10% Polyurethane Back - 100% Polyester. Also available in infinite blue. 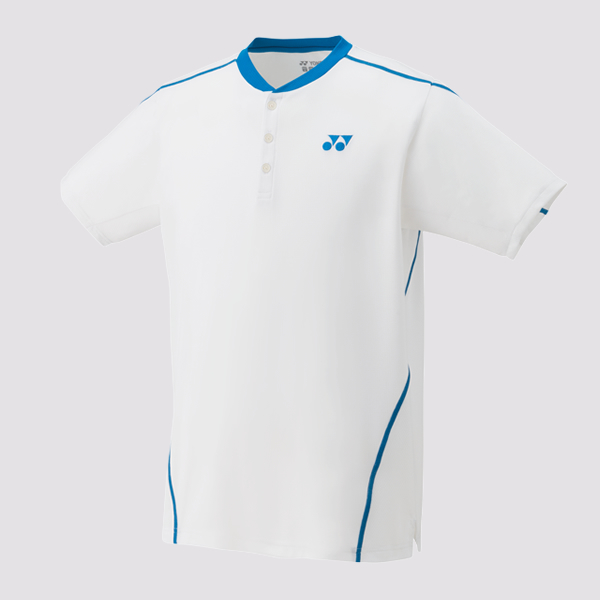 Do you own the Yonex Mens Crew Neck Shirt 10226 White?